Remember when I wrote here about being in Scotland for my birthday? Well, we were there because John had big a reunion nearby with former colleagues from the television station where he’d worked before retiring. A few months before the event, he noticed the date was on my birthday and he kindly asked if I would mind going that evening. Once he was sure I was fine with sharing the day, he began planning how he might make it memorable for me too. He knows I love a trip to Scotland so it was big part the fun we had on my birthday and our evening finished with a small carrot cake in our hotel that night after the reunion. The cake part presented a little problem though. I’m a big believer in candle blowing and wish making on birthdays. There’s something hopeful, thankful, and celebratory about the act that feels necessary to me and I can’t imagine a birthday without it. John is not that bothered by it on his own birthday but he knows how important it is to me. We took the cake with us on our outing thinking we might have it during our day out in Scotland, but stayed in motion so much that we decided to save it for after the reunion. When we rushed in to shower and change for the evening, we realized that we didn’t have a way to light the candles for the cake. He went out to buy some matches or a lighter and was gone so long I was beginning to worry. I didn’t know that since we were in a hotel in the center of Carlisle and it was evening that the shops would be closed. Poor John searched everywhere for an open shop to get what we needed and finally ended up a good distance away in a pub that he was familiar with from his days of living there. They didn’t sell matches, but the guy behind the bar gave him a box they had for the pub’s use. Life with him is like that. A million little sweet gifts of service that say love. I am a fortunate woman to have found this gentle man and I am so happy to be able to celebrate another birthday with him today. Of course I had to save the matches … I’ll use one later to light a candle or two for John and hope to post a picture here later today of him making a wish. Here’s a photo to save the spot for now. I think of this look as his determined face. I’ve seen it before although it does look a bit different with the beard and all. I imagine this was the expression he was wearing all around Carlisle a few weeks ago and it makes me smile just thinking about it. 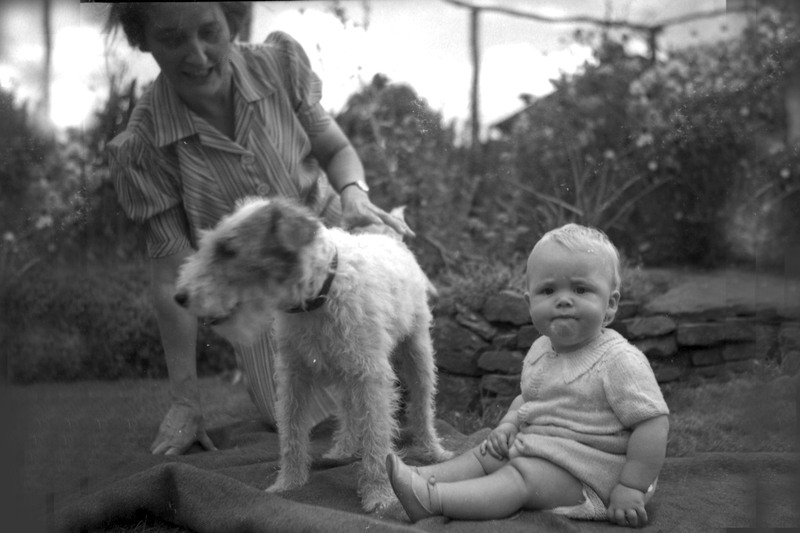 This entry was posted in Adventure, Family, Love, Memories, Photography, Travel and tagged Birthday Wishes, Birthdays, Candles, Carlisle, Elizabeth Harper, Gifts Of The Journey, John Winchurch, Old Photographs, Scotland. Bookmark the permalink. Love, LOVE this post! Such a sweet story about what it really means to care and cherish someone. His baby picture is just adorable, too! LOVE the baby photo! I keep one of my husband as baby on my computer. He is radiating the joy of being well-loved by his Mum, holding him. It’s a good reminder to me that this is now my role. 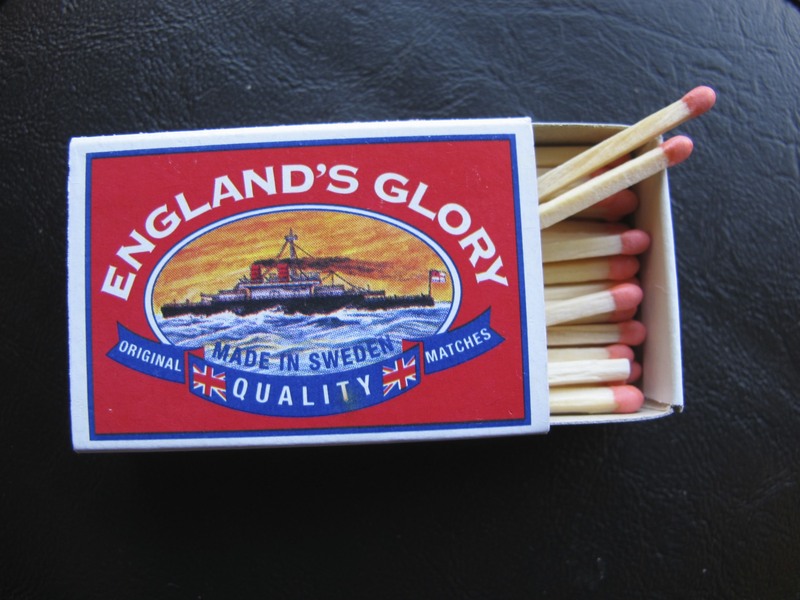 I can’t think of a better souvenir of love than a box of matches. Happy Birthday to John. Now there’s a guy who goes the extra mile. (!) Sorry couldn’t resist. Happy Birthday John, and excellent choice in carrot cake. Many happy returns. Happy Birthday John!!! you cheer my heart with your love and kindness to dear Elizabeth. Here’s to many more birthdays for you both together. Thank you for sharing your John with us Elizabeth, what a great souvenir indeed. Awww, love it!!! What a cute photo of him — he looks like he is really thinking hard about whatever he is doing in that moment! !